Liturgical poet, who lived at Rome in the middle of the fourteenth century. He was the grandfather of Daniel ben Samuel ha-Rofe, rabbi at Tivoli. 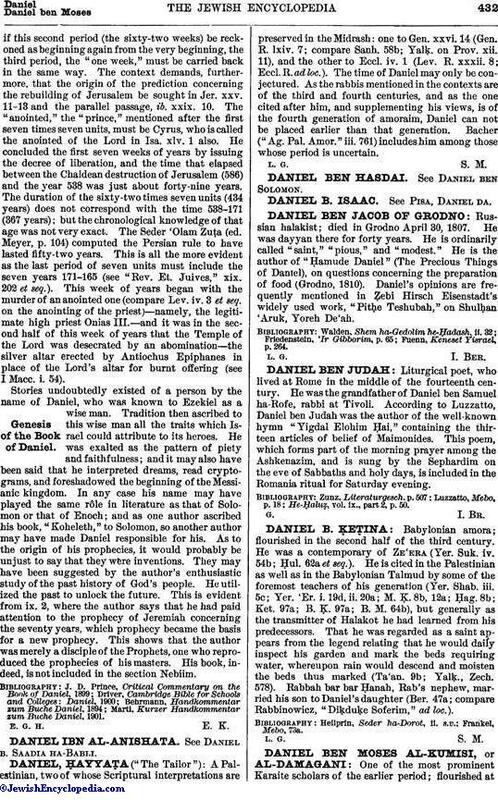 According to Luzzatto, Daniel ben Judah was the author of the well-known hymn "Yigdal Elohim Ḥai," containing the thirteen articles of belief of Maimonides. This poem, which forms part of the morning prayer among the Ashkenazim, and is sung by the Sephardim on the eve of Sabbaths and holy days, is included in the Romania ritual for Saturday evening. He-Ḥaluẓ, vol. ix., part 2, p. 50.